Benching is often referred to as the King of upper body lifts and not many can argue effectively against this stance. The bench has tons of carry over toward development of the triceps, chest, shoulders and upper back musculature. If you want to get a super strong and solid upper body, benching is a standard exercise that offers all those benefits with one exercise. The problem with older lifters is generally the shoulders suffer from years of constant loading, volume and previous injuries from benching incorrectly or with poor technique habits. With a few technique changes and adjustments to loading parameters and volume the older lifter can keep on benching safety and effectively for years to come. The first thing to consider in the bench press is your technique. Working on your form and improving your overall individual leverages is going to make benching safer and more effective, especially if you're struggling from injuries or previous shoulder trauma. These setup techniques will help increase the amount of leverage you have and set your shoulders into a safer position to bench effectively with more overall load. With these solid tips you'll be able to lift safely for years to come. As an older lifter the first thing that one should add into their program is a general warm-up either through mild calisthenics like this dynamic stretching program or even some light cardiovascular work. As a general rule this should take anywhere from 10-20 minutes depending upon how your body performs and focus on increasing blood flow, joint mobility and attaining a mild sweat. You don't want this to take away from the overall workload for the day, but it should help you feel energized and ready to do some more serious work. Performing some soft tissue work on those tight pectoral muscles, traps, rhomboids and lats is generally recommended for most older lifters who tend to be super tight in those areas. Getting a lacrosse ball into that soft tissue and working through some of the knots will allow you to move in a better range of motion that puts less overall stress on the joints and more on the muscles where you want the tension. Obviously for our older lifters that have some chronic or lasting amounts of shoulder-pec-elbow pain, it is always a good idea to go get those issues checked out by a professional. Either by your physiotherapist, doctor or another certified practitioner who can assess those tissues and figure out what is really going on. This will enable you to work around the issue easier without doing more harm than good. If you don't know what it is, it may be harmful to keep benching without causing your shoulder more damage. As a general rule if you're benching and something is hurting with knife like pain or sharp pains that cause you to stop doing that movement something is messed up. Address your form and see if it's just a technique issue. If that doesn't fix the problem or it is constantly hurting you, something is going wrong in that area and you need to get it checked. Having a multitude of different bars is a great advantage for any lifters looking to keep that overall benching movement in their program by providing subtle variations in mechanics and nervous system activation. Simply by changing the hand grip position or shifting the hands from a narrow to a wide grip variation of the bench has dramatically different muscle activation pattern and can keep you lifting safely without taxing that system too much with the same movement pattern. Remember that muscles develop with certain patterns and angles of muscle activation. Shifting those patterns to another similar patterns has lots of carry over to the overall action of benching. This is why it's helpful to shift your hand position from time to time or shift the angle of the bench in order to change the loading pattern. Now, older lifters may find that some movements just aren't easy for them to perform anymore (ie. high incline bench press, narrow grip bench press, narrow grip incline press, etc. 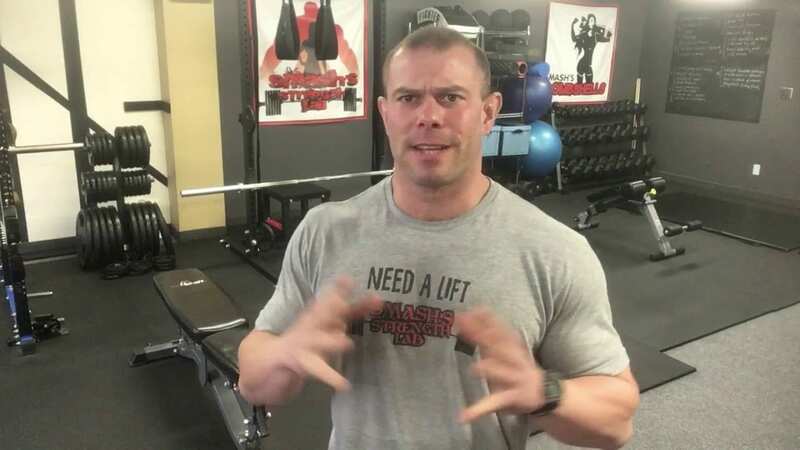 ), for those types of movement either avoid them or figure out where the issue lies in either overly tight pecs, rotator cuff weakness or other technique issues. At times it may be useful to have a competent coach or therapist pin-point where the movement becomes unsafe or hazardous and mitigate the hazard. Also using accommodating resistance like bands or chains can be helpful to either de-load tissues at the bottom or top of the movements to allow older benchers safer benching options while still performing the movement. And specialty pads like the Elite FTS Shoulder Saver pad is a must have for serious benchers who have shoulder issues. As with everything frequency or the amount of times you're training the bench press during the week should be limited to allow those tissues to heal properly, but again it depends on the lifter. For arguments sake more advanced lifters can hit this move at least 2x week and up to 3x week without issue as long as they are rotating their movement patterns and using different bars, grip widths and loading parameters. For the average gym goer, a 1-2x week bench press training is perfect. This allows all those tissues to heal up nicely before repeat loading. It really all boils down to recovery and assessing if those tissues are getting healed fully before benching again. One way to enhance this bench pressing ability is to vary your volume or how many sets and repetitions one is doing in a workout. For most lifters the standard 3 sets of 10 reps is common place, but if you've been lifting for a while you can all see that this limits your overall development by not stimulating enough of those higher threshold muscle fibers. One should seek to create a balance of strength, size and muscular endurance within all muscles of the body, which simply hitting 3 sets of 10 reps just doesn't do well. So varying your sets and reps can add a great deal more size, strength and muscle density into your upper-body. And as with everything in weight lifting it really depends on what the focus is for the program in general, but using a scale of 1-5 repetitions for strength, 6-12 for hypertrophy and 12 and up for muscular endurance gives you a nice blend of size, strength and overall muscular endurance. As you go upwards in repetitions generally you need to perform less overall sets in an inverse relationship. So if you're hitting sets over 12 repetitions you'll use 3 to 4 sets for optimal stimulation. Versus if you're doing reps of 1-5 you generally are going to need a lot more sets, in the range of 4-10 sets. Again, this will depend upon the lifter in question and their overall training age. For the older lifter, shoot to hit one heavy day per week with reps below 5 repetitions with a good amount of warming up and soft tissue work as you progress to heavier weights. Finish with at least one heavy set and call it good on heavy loading for the day. Then later in the week, preferably at least 48 hours of time off from hitting that muscle group focus on either a lighter repetition focused workout once per week with repetitions of 12 or greater for muscular endurance work or moderate repetition workout with a range of 6-12 repetitions for more muscle mass building potential. This should keep all the tissues healthy and happy, while getting enough overall volume and load to keep on progressing in strength and either muscular endurance or size, whichever your preference. Everyone is different and responds to different types of programming all depending on muscle fiber type, individual biomechanics, levers (ie. how long your arms are in relation to your torso, etc. ), and muscle activation potential so being able to change your program up frequently will help you gain knowledge about your own body and experiment with what works well and doesn't work well. Very few people spend the time to acknowledge this fact and figure out what really works for them. If you're dedicated on getting stronger and better you're going to use a variety of different programs all tailored towards different focuses each time to see what works for you as an individual. (Note: this does require you to keep a training log to see what has worked better for you in the past and what doesn't work as well). There's so many different variations in programming that you could spend a lifetime trying them all out just to see what's going to make you a better lifter and bencher, but saying one program is more beneficial than another is foolish until you try it and give it some time to work. That last point is key! Give it some time to work. Don't program hop from one program to another until you've at least exhausted the programs benefits, because without giving the body enough time to adapt is just as bad as staying with the same program for years without seeing good results. Stick with a program for at least 6-12 weeks if your a beginner lifter and 3-8 weeks if you're an intermediate lifter to see optimal benefits and then access it for what was good and bad. Keep working the stuff that was working and try something new on the other areas. Advanced lifters may have to switch programs at least 3-4 weeks in a wave type pattern as their muscles are far more adapted to lifting heavy weights and they're closer to their genetic potential. That isn't to say they can't make good gains in their lifts, it just means it's slower and with extreme loads that the advanced lifters are lifting they have to be far more concerned with recovery and changing the movement patterns frequently to avoid injury and becoming stale. In the end, becoming a better bencher all boils down to perfecting form and technique first. If the form is solid, the weights will become easier and more loads will be lifted. You'll progress in strength and start hitting numbers you never knew you could possibly attain. If you're an older lifter and struggling with certain issues, try out some of these technique listed above to help keep benching strong for years to come. Of key importance, warming up, mobility and soft tissue work, continually monitoring load, volume and frequency. So now this article was written from a lifter who struggled with 285lbs for 5 reps a three short years ago, who now benches 395lbs in competition and is still learning and pursuing that elusive 405lb bench in competition. In a way, I'm like a lot of you lifters out there that are constantly learning and trying to progress in the strength game. After I started powerlifting, I sought out people with a greater knowledge of the sport, in specific benching. These lifters have had an outstanding impact on my own journey as a powerlifter and coach, who continue to inspire me to get better at my sport and impact on others as a coach. So big thanks to Curd Hos, who helped get my bench over 315 in a year! Scott MacDiarmid with a 603lb bench in a shirt, whose coaching off the platform helped me maintain my edge and get over a short hump at 385 a previous year. Also big shout out to two of those outstanding individuals who serve as inspiration to all of us who love lifting heavy, Dave Tate and Vincent Dizenzo, who helped improve my overall technique at this last years Learn to Train Seminar 2018. Big thanks to all you fine gentlemen for helping me progress in sport and help us share the knowledge with the next generation of lifters.